This poster about ecology represent the earth who is happy beacause she is in good health. 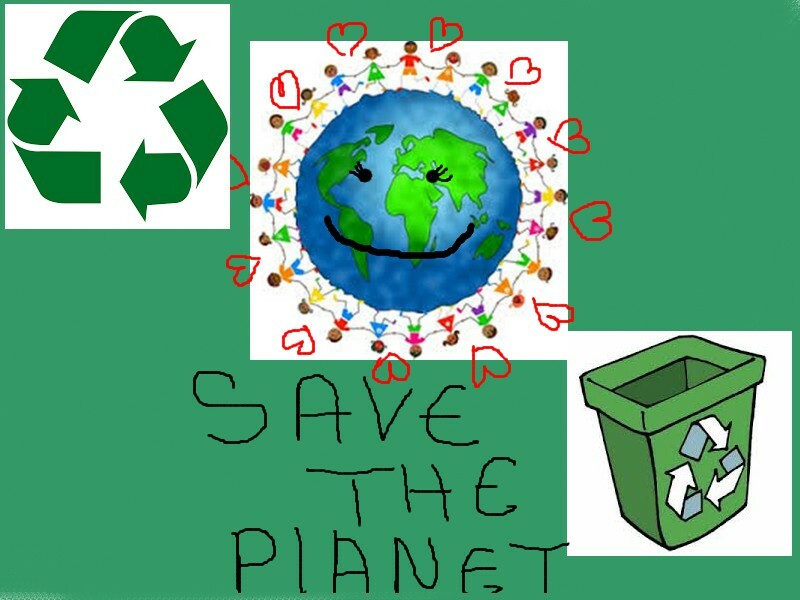 I put recycling logo beacause its about recycling and its show that the planet is healthy. I drew peaople with heart beacause they made good thing like recycling the planet. The earth is smiling too beacause she is happy that peaople take care of her. It's very beautiful and reminiscent the planete !